Take a moment to think about the most influential science fiction movie. Chances are that most people have several of the same movies on their lists: Star Wars, Blade Runner, Alien, Avatar, Terminator, just to name a few. However, there is a movie that is potentially more influential than any of the ones I’ve listed, and yet that movie was never made. Such is the tale told by Jodorowsky’s Dune, a recent documentary that chronicles the failed attempt by director Alejandro Jodorowsky to make a film adaptation of Frank Herbert’s classic novel Dune. The film starts off by giving the audience a bit of background about Jodorowsky himself, including his time working in theater and brief overviews of his first three films Fando Y Lis, El Topo, and The Holy Mountain. Though brief, this discussion is important for those unfamiliar with Jodorowsky’s work to acclimate them to the bizarre and ambitious ideas that the man brought to his projects. Without that level of acceptance, it’s nearly impossible to comprehend Dune at all. While the novel itself stretches the imagination, Jodorowsky’s vision for the screen adaptation was much more expansive and surreal. The documentary moves from background information to the formation of the team that worked to bring Jodorowsky’s vision to fruition. Today, many of these people are well known, at least among the film industry and its admirers, but at the time they were almost all obscure figures. Among the team members were Jean Giraud (more commonly known as Moebius), Dan O’Bannon, Chris Foss, and H.R. Giger. Once assembled, this team began to prepare all of the concept art for everything from costumes to starships. 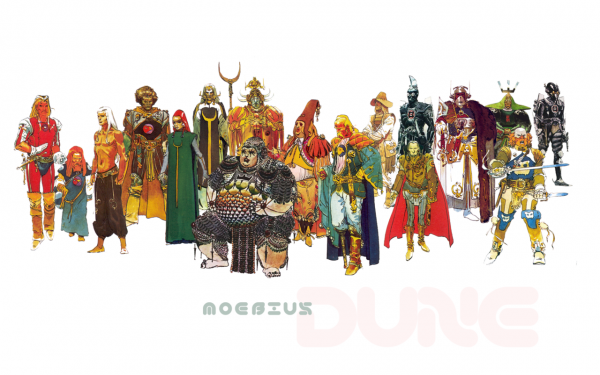 Moebius in particular did a lot of work on the project; in fact, he created all of the story boards for the movie, which essentially mapped out everything, including dialogue and camera directions. While still assembling his team, Jodorowsky also began to court the various actors that would inhabit his world. The stories of these courtships are quite possibly my favorite part of the documentary for a couple reasons. First is that Jodorowsky is quite a character and gets very excited telling the stories, which makes them far more enjoyable to watch. It feels less like he is the subject of a formal interview and more like he is having a conversation with the viewer. Also the stories themselves are all pretty outrageous. 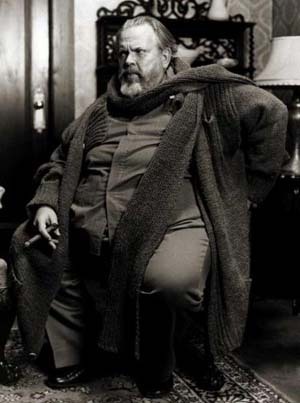 Of course, they would need to be since he was courting people like Salvador Dali and Orson Welles, two of the more unique personalities of the 20th century. Who better to play the Baron Vladimir Harkonnen. Of course, in the end the movie was never made and I think the documentary addresses that very well. Though there were many factors that kept the film from production, the biggest was that it was simply too existential for Hollywood of the 1970’s to understand. In interviews with Alan Ladd Jr. about the making of Star Wars, he makes it clear that he had no idea what was going on, only that he had faith in the project. Dune would have been infinitely weirder than Star Wars and therefore studios just wouldn’t get behind it. This section of the movie also includes some of the most human moments. When Jorodowsky faces his most disappointing failure again, even after nearly forty years, it is still obvious that his heart is breaking a little bit. While Jodorowsky is almost always talking to the camera, those moments when he is talking about the death of Dune he is speaking directly to the audience as individuals and it seems as though he almost makes eye contact with each person. 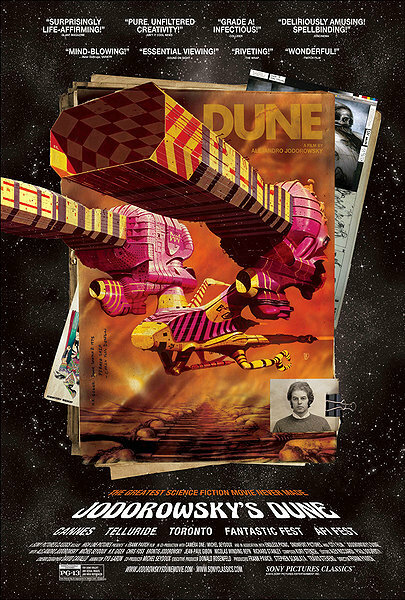 Throughout the entire documentary the audience is treated to pieces of the infamous Dune book. This was the book that was put together and presented to all the different studios so that they could get a feel for the movie. It’s an absolutely massive tome (I would guess nearly 10” thick, though it’s hard to tell) that has all of the preparation work that was done including the entire story board, costume and ship designs, and everything relating to every character. The book is the closest to making Dune that the production ever got, but it’s important for more than just that. While only two copies are thought to still exist, originally each studio got its own copy. When the project died, those books began to make their way around the back rooms of Hollywood and slowly but surely scenes and ideas from the book made their way to the screen in various movies. At the end of the film the documentary does a fantastic job of picking out some of the best of these moments and doing a back and forth comparison between the storyboards and the actual scenes. 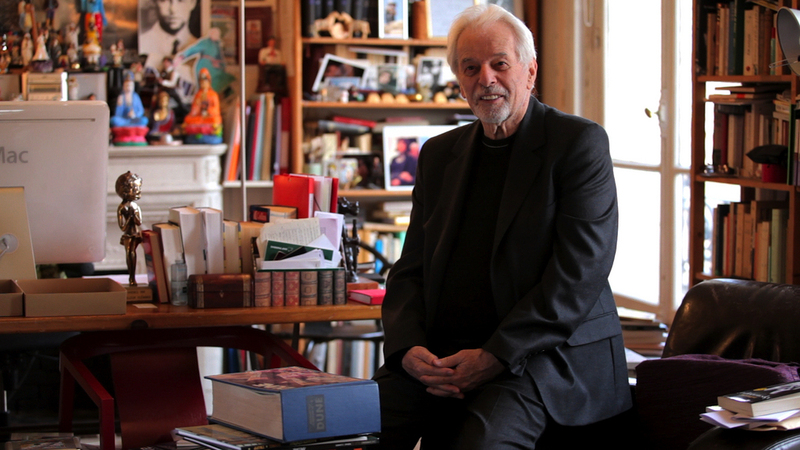 Jodorowsky with one of the two surviving Dune books. In addition to the visual contributions provided by the Dune book, Dune was influential because the people who worked on it, Jodorowsky’s “spiritual warriors” as he liked to call them, began to spread out and work on other Hollywood projects, taking what they learned from Dune and using it. Working on Dune is where Dan O’Bannon, the creator of Alien, met H.R. Giger, who later would provide the creature design for the Xenomorph.